Here’s a piece of gear that really piqued our interests. 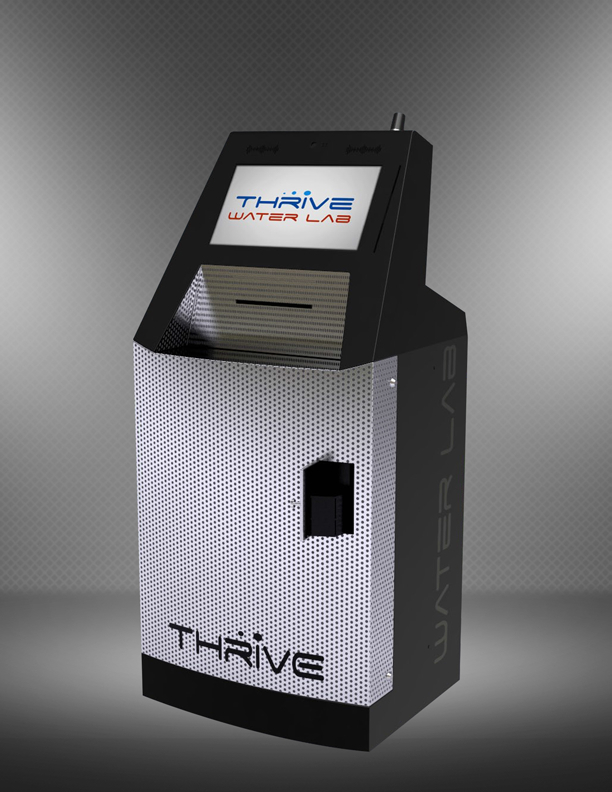 Thrive Aquatics sent us an email earlier today with details of a self-contained water analysis testing machine that is designed to sit at your local fish store and test customers’ water samples on the spot, with no help needed from fish store employees. Think of it like an automated bill paying kiosk at your cell phone carrier’s nearest storefront, except instead of handing over handfuls of money on expensive data plans, you’re getting a well-rounded analysis of your aquarium’s water. How cool is that? The Water Lab can analyze freshwater and saltwater samples for more than 20 different tests. And besides just getting a snapshot of the water quality, the lab will track data on a customer’s profile and will make recommendations on how to fix key issues. A proprietary method of dispensing and reading water samples eliminates cross contamination, and customers can rest assured that they are getting accurate results without having to fiddle with titration test kits or expired kits that are still in use by the fish store. And with automation comes the elimination of human error, for the most part. Instead of Joe Fishstoreguy testing your water parameters based on kind of remembered procedures, the automated system will get it right each time. There wasn’t any info in the email regarding the price of the Water Lab or how much each test will cost to the end user, but it is said to be available in Summer 2013. Custom Software including Windows Configuration. Wait, what? “Logitech HD Pro Webcam…” ?! ?